Finishing Line Press, 9781635343557, 40pp. 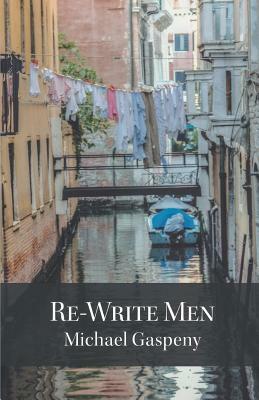 Re-Write Men is packed with story-oriented, character-centered poems inspired by omens, haunted neighborhoods, and hospice patients reviewing their lives and seeing into the next world as they confront fate. Most of these slices of life crackle with drama in which opponents struggle toward revelation and characters deal with antagonistic dimensions of themselves. Other poems provide diversion from the gravity, focusing on music and the loving spirit of Black Labrador Retrievers. The collection traces a journey from corrosive doubt to limited grace. It begins with a narrator declaring "I don't need the Bible to show me Hell/It's right here in my hands." It visits a nursing home where a patient pleads, "Make us love ourselves and one another." The quest for cleansing concludes with a guilt-wracked loner proclaiming, "The sea-winds tore off/the festering lapels of my self-pity." The pleas and plights of men yearning to redeem loss-ridden lives will capture your ear and enter your heart.